The CS16USB 16-Device USB Charging Station Cabinet provides fast charging, convenient syncing, secure storage and cord management for up to 16 iPad, Android, Surface and Kindle tablets. It also charges mobile phones and other USB devices. 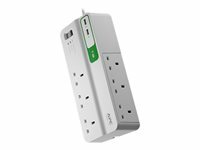 It's ideal for education, office, commercial, retail, industrial and healthcare environments. 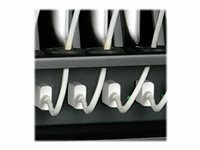 16 USB ports deliver the fastest charging supported by each device, up to 2.4A per port. 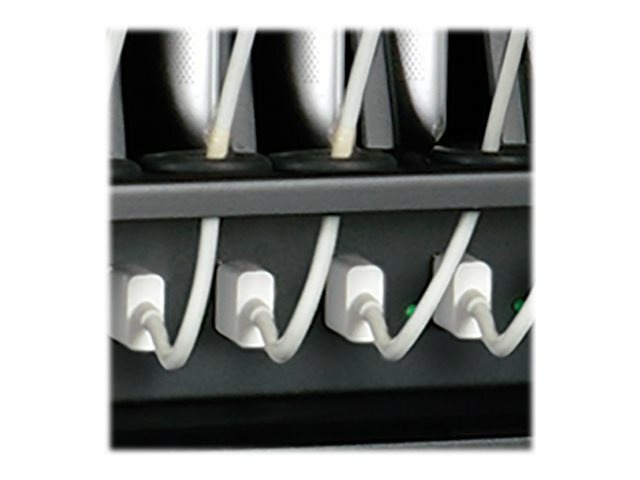 The charging station also supports wired and wireless syncing, including syncing while charging. 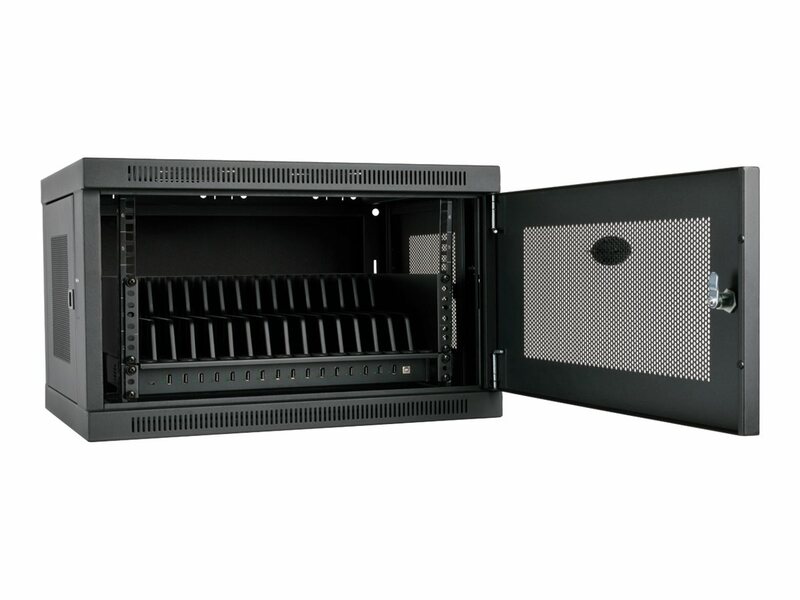 The steel cabinet provides comprehensive device protection. It has a powder-coated finish and locks with the included keys to prevent device theft, damage or tampering. 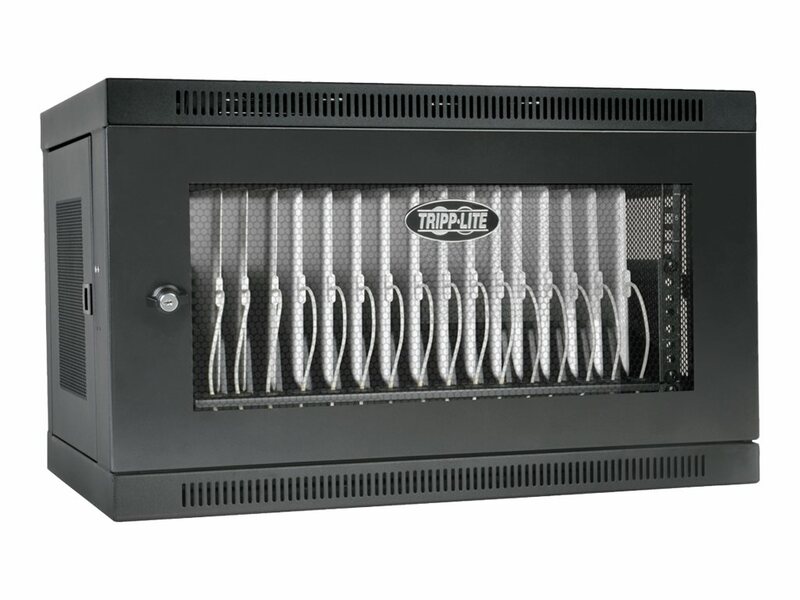 Flow-through ventilation prevents overheating, the coated shelf prevents scratches and scuffs, and the charging station also provides clutter-free organization of devices and cabling. The charging station is easy to configure. 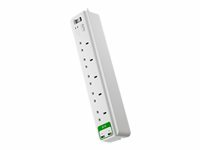 It ships fully assembled and supports mounting to a wall, desk, table, counter or floor. 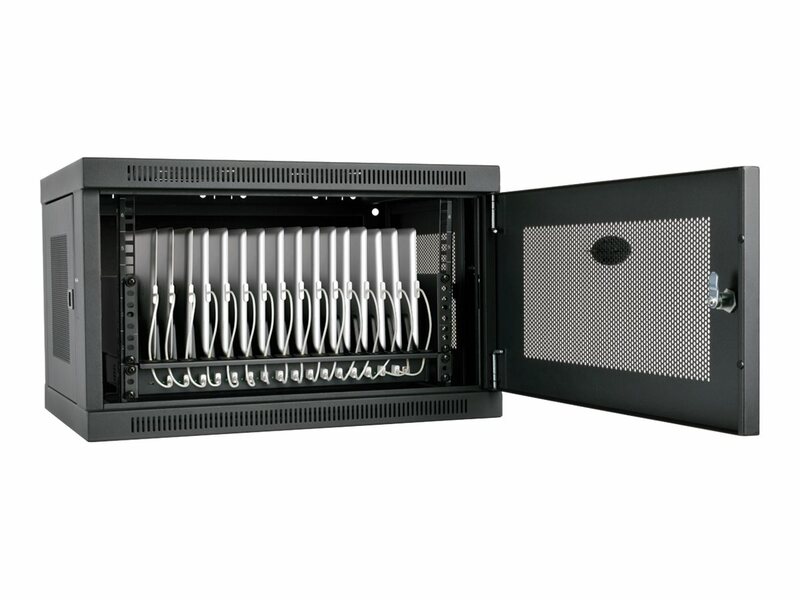 The front door opens 180 degrees for clear access, and removable dividers accommodate thicker devices.